How do I find my serial number or the download link? Start a request to get an overview of your orders (If you have placed an order through Cleverbridge, please click here). 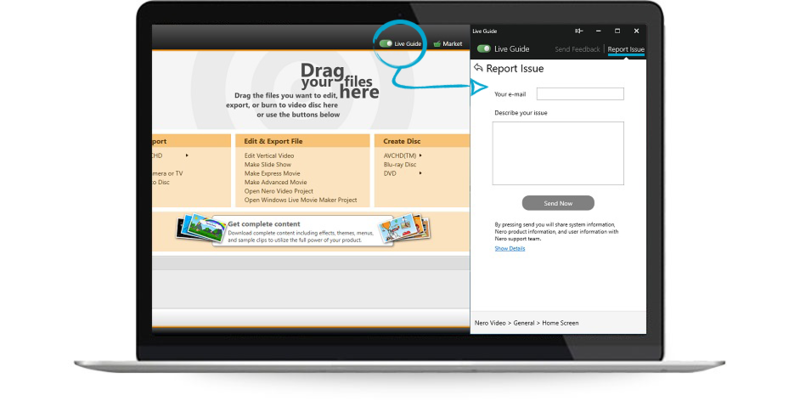 Start the new "Live Guide" and report the problem using the "Report a Problem" feature. How do I report a problem in Nero 2019? NEW: Use the Live Guide to send your feedback to Nero or report a problem. What can I do if I am using an older version of Nero? You can report your problem via the support app "Nero KnowHow Plus". Download the application from here and follow the instructions of the application. Can I also get help via a mobile app? Nero KnowHow is the support app for the current Nero 2018 & 2019 products. How can I get help in other ways? You can find useful information, tipps and FAQs in our new Nero Knowledge Base. 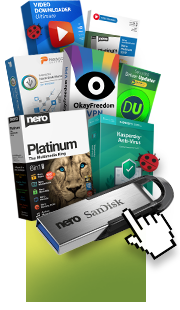 The Nero Spring Bundle includes 7 full version of high quality Windows software products.